Every month, we look ahead to major London openings and select the 10 must-see exhibitions. Cygan is a massive robot and he will be at the Science Museum. Image courtesy Dr Piero Fiorito. 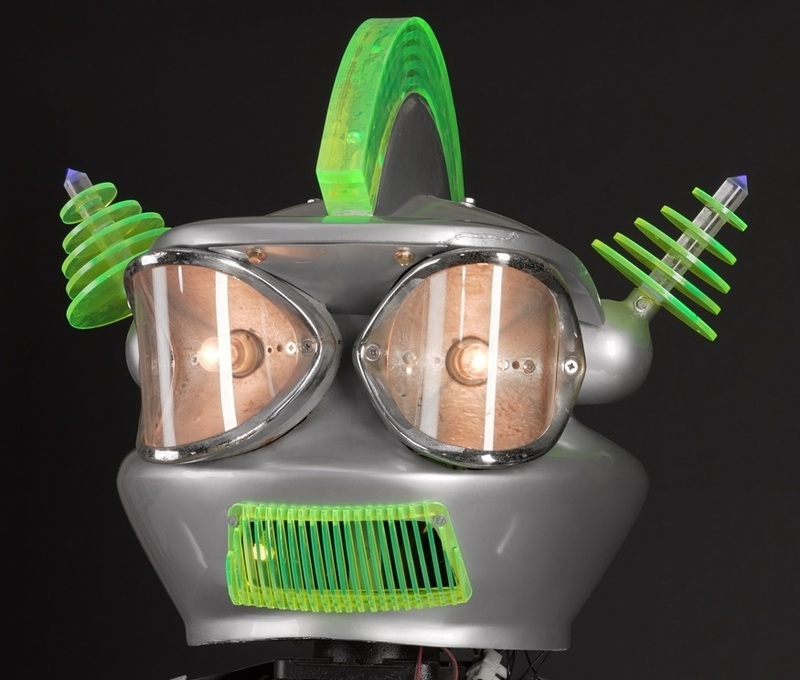 THE ROBOTS ARE COMING: We have to admit we're very excited about this one. Robot toys, robots that serve you and a giant robot that's been rebuilt thanks to a crowd funding campaign are all going on display. This is going to be a fantastic look at the retro and the futuristic world of robots. Robots at Science Museum. 8 February - 3 September, £15. DAVID HOCKNEY AT HIS FINEST: Hockney is one of Britain's greatest living artists and this one will set out to show us why. It will be a massive exhibition, covering all aspects of his work from Yorkshire landscapes to his famous swimming pool paintings. David Hockney at Tate Britain. 9 February - 29 May, £17.70. RUSSIAN REVOLUTION RE-VISITED: This year marks 100 years since the Russian Revolution so there are plenty of exhibitions revolving around that theme. Top billing goes to this Royal Academy of Arts show looking at the art of the time, including great painters such as Chagall and Kandinsky. 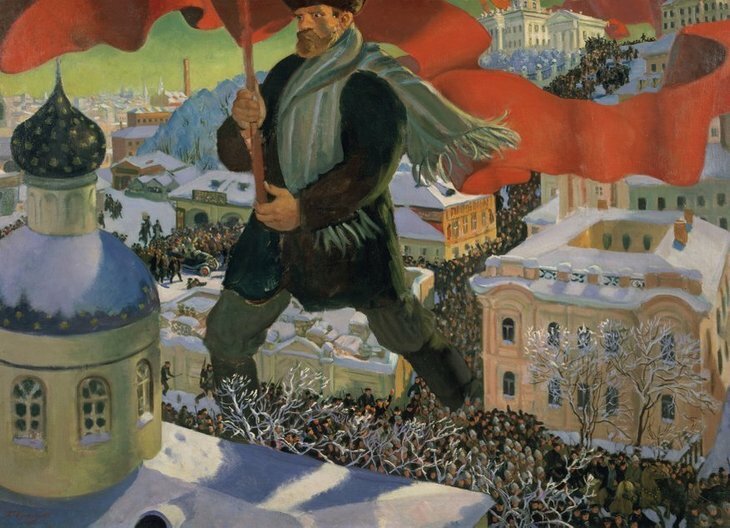 Revolution: Russian Art 1917-1932 at Royal Academy of Arts. 11 February - 17 April, £16. MORE ROBOTS, IN ANIMAL FORM: Everybody loves robots and everybody loves animals. So the Horniman is combining the two in a family-friendly exhibition, using robots to show how an animal functions, whether it's how grasshoppers leap so high, or how a squid propels itself forward underwater. Robot Zoo at Horniman Museum. 11 February - 29 October, £7. WAR & REFUGEES: Richard Mosse is one of the most exciting video artists operating today. He won the Deutsche Borse prize for his fantastic pink tinged view of Africa, so we're expecting big things for his latest commission for the Curve Gallery at Barbican. Richard Mosse: Incoming at Barbican, Curve. 15 February - 23 April, free. LET'S GET POLITICAL: Photographer Wolfgang Tillmans uses 2003 as the jumping off point for this exhibition. It's the year that the invasion of Iraq took place, and what Tillmans sees as the year when the world changed. A highly politically-active artist, he created posters to back the Remain campaign. This is sure to be an extremely relevant exhibition for our time. Wolfgang Tillmans at Tate Modern. 15 February - 11 June, £11.30. 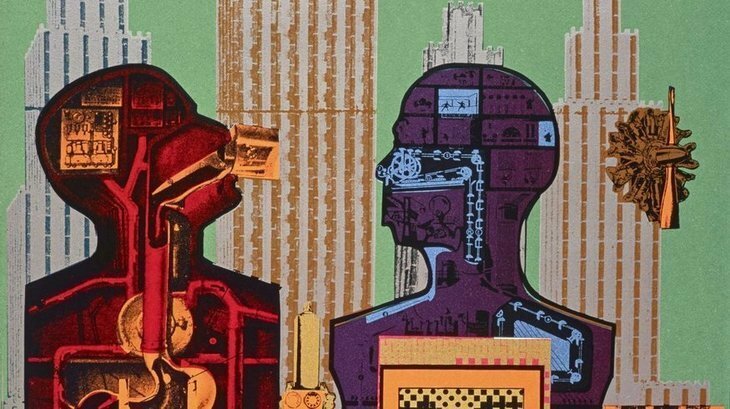 Paolozzi was a remarkably diverse artist and that's what the show at Whitechapel Gallery will highlight. Copyright Scottish National Gallery of Modern Art. REJECT SIN: Guido Cagnacci's most famous work, The Repentant Magdalene, returns to the UK for the first time in 30 years. A sensual Baroque painter, Cagnacci's work is sure to be astounding as it depicts Mary Magdalene rejecting sin for a life of piety. Cagnacci's Repentant Magdalene at The National Gallery. 15 February - 21 May, free. THE GODFATHER OF POP ART: Eduardo Paolozzi was a prolific artist — the Tottenham Court Road mosaics and other sculptures all over London are testament to this. There will be over 250 works in this show, showcasing his full versatile range from sculptures to textiles. Eduardo Paolozzi at Whitechapel Gallery. 16 February - 14 May, £11.95. AN AMERICAN RECOVERY: America was transformed after the Great Depression, with industrialisation and immigration changing the country. This exhibition will look at these turbulent times and includes works from greats like Jackson Pollock, Georgia O'Keeffe and Edward Hopper. Plus, it's a chance to see American Gothic — the iconic painting that has never left North America before. America after the Fall at Royal Academy of Arts. 25 February - 4 June, £12. ELECTRIFYING STUFF: Electricity is the lifeblood of modern society but how did we get here? The Wellcome Collection is putting on an exhibition all about this valuable commodity, from the humble electron to its use in the electric chair. Electricity: The Spark of Life at Wellcome Collection. 23 February - 25 June, free.